DVT, a software development and testing company with over 700 staff, has signed on as a sponsor of the 2019 Business Analysis Summit. DVT was founded in 1999, and is celebrating its 20th birthday this year. Over the past two decades, it has, among other things, helped its clients locally and globally with making an impact in their digital technology transformation. With offices in South Africa (Johannesburg, Centurion, Cape Town and Durban) and the United Kingdom (London) DVT builds long-term partnerships with its clients. In February 2019, it moved to its Head Office from Hyde Park to new state of the art building in Melrose (on Glenhove Drive). 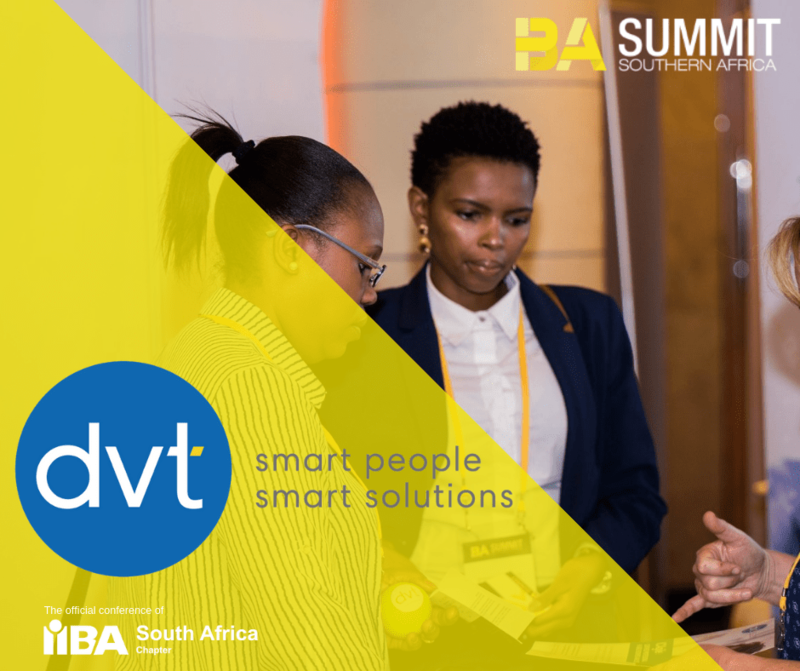 “It is great to be involved in partnerships like this with DVT, as the synergies benefit both parties and Business Analysis Summit and the whole BA community.” says Lucy Davies, President of IIBA®-SA. She adds that IIBA®-SA, as the independent non-profit professional association serving the growing field of business analysis, they are excited to be on track for the 8th Summit, opening the platform for discussions, debates and conversations to stretch business analysis delivery and value. As a bronze sponsor DVT will have a stand at the conference with further details being announced during the run-up to the conference. To connect with DVT and for more information about their products and services please visit their website www.dvt.co.za or follow them on Twitter, Facebook, Instagram and LinkedIn.